Announce the winner of #VOTY16. Before we do so, here is how #VOTY16 shaped up. Thirty-four vehicles were qualified for this tenth #VOTY. They ranged from the best-selling vehicles in North America to some of the latest and greatest in the world. Through eight categories, each vehicle was given a score from 1 to 5 to be tabulated in total through these Objective categories. The categories each were evaluated on were Driveline, Driving Dynamics, Design, Comfort, Technology, Safety, Efficiency and Value. Out of 34 vehicles, only seven scored 30 or more points – the Honda Civic, Kia Optima, Mazda3, Scion iM/Toyota Corolla iM, Volkswagen Passat and Volvo XC90. The list of 34 nominees were sent over to a panel of 20 independent automotive media members and influencers. Some of these panelists had participated in this panel before, while others are relatively new to this process. Having a panel of media and influencers help to see different perspectives on vehicles that even I could not see. Their perspectives added to the scores of the Objective evaluations, but they did elevate a few vehicles that scored close to the seven leaders in prior scoring. For the most part the panel liked the Volvo XC90, however they also liked the Mazda CX-9 – moreso than the Volvo. With the combined scores, the six finalists were formed: the Honda Civic, Kia Optima, Mazda3, Mazda CX-9, Volkswagen Passat and Volvo XC90. Then, it was your turn. The polls opened with these six Finalists. One cannot predict voter behavior, but it seemed that domestic car lovers were lost in this year’s vote. This is perhaps the first ballot in nine polls conducted by V&R (and its predecessor) that did not include a vehicle from a domestic brand. The Passat, the Optima and some Civics were built in the USA, while some other Civics were built in Canada. In the eyes of our Mopar, GM and Ford loving readers, it was to read whether this would sway their votes or not. In the end, there had to be a winner. With the combined votes via our ballot – powered by SurveyMonkey – and overall social media impressions from Facebook, Instagram, Twitter and this site, one would walk away with the most points overall. This winner would mark two benchmarks for this award. It would not only be the first SUV to win it, it would also represent a European brand name for the first time in #VOTY history. When Volvo claims that this excellent vehicle is the “Most Awarded SUV of The Century,” there was never any doubt it would live up to this claim. It is a winner with its design, engineering, advanced technology in safety and infotainment systems and an overall air of quality. Power from its T6 Drive-E turbocharged and supercharged four-cylinder engine, along with its all-wheel drive system shows that it can more than manage its weight while delivering efficiency and solid driving dynamics. Where the XC90 exceeded expectations was in the complete package. It goes beyond presence, as it exudes an air of luxury expected in a vehicle in its class. However, it does so in a Swedish fashion – modern, while following tradition. Volvo’s own tradition of offering luxurious vehicles has been cemented with a lineup that includes the T8 Excellence – the combination of the plug-in hybrid driveline and a bespoke cabin rivaling some of the more expensive offerings in its class. However, to know the Volvo XC90 is to drive one. Rather, to experience one. Whether it is a Momentum, R-Design, Inscription or Excellence, or whether you choose the T5, T6 or T8 powertrains, this is a vehicle that rewards those who are in its presence and are transported by it. These are signs of a winner. 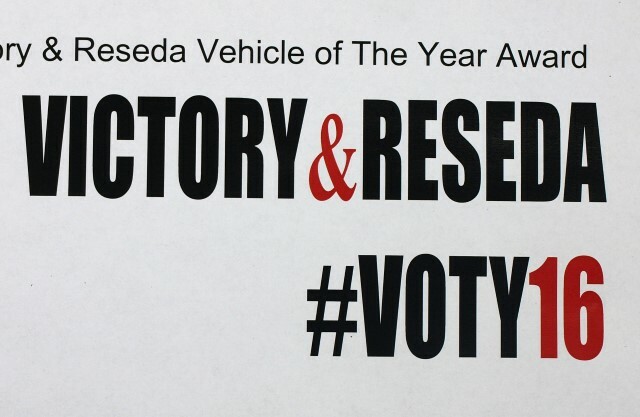 Victory & Reseda congratulates Volvo Car USA on their win for #VOTY16. 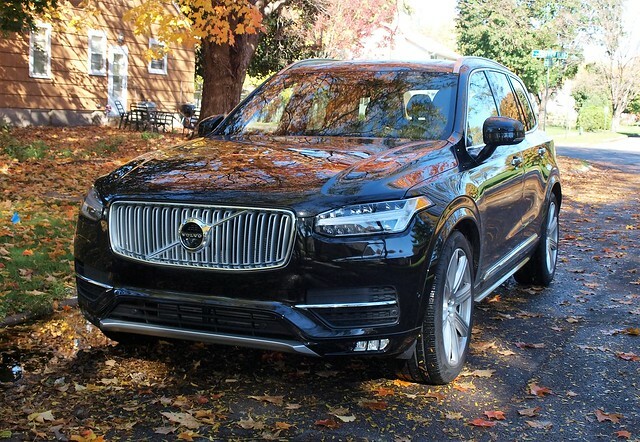 This will along with the many accolades the XC90 has earned over the course of 12-plus months. Victory & Reseda wants to dedicate #VOTY16 to our friend John Trabant. Trabant passed away on October 13, 2016 due to complications from his gallant fight against Cancer. He was 55 years old. We continue to keep watch over his survivors, his wife Julie, sons Tyler and Cody, along with Tyler’s wife Taylor. When we lose one of our own, we ask that we keep that flame burning bright forever. Thank you, John…this light will continue to shine for eternity.